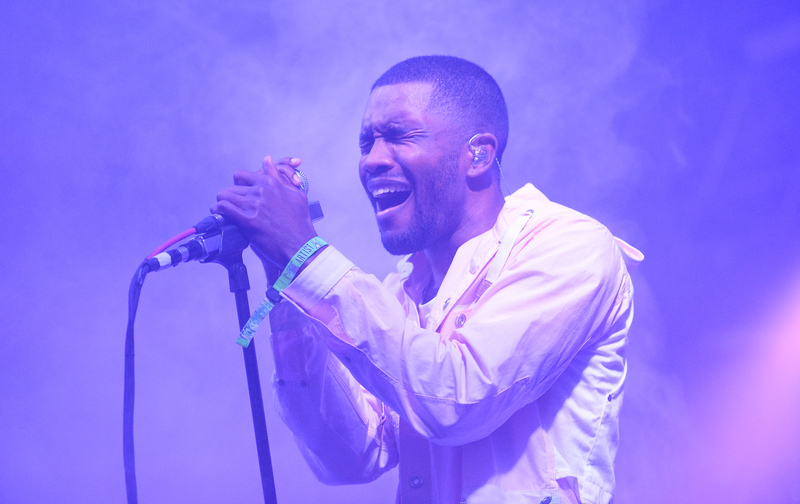 No, you aren't in a dreamlike state — Frank Ocean really has released a new album. While it's not Boys Don't Cry as had been anticipated, the songs from Ocean's Endless should make up for all of the misleading that has occurred over the years since Channel Orange. Boys Don't Cry still might happen as The New York Times reported that an Apple Music representative said in a statement to "keep an eye out this weekend for more from Frank," but let's not get too greedy. Ocean has finally released new music exclusively for Apple Music on Aug. 19, 2016 and if you're a female fan, then the song you have to listen to off of Endless is track number nine, "Wither." Let's be real, you're going to take in the 45-minute visual album as a whole (as is required), but if there's just one song from Endless that you should listen to, it's "Wither." While I'd argue it's also mandatory that you make time to listen to Ocean's cover of the Isley Brothers and Aaliyah's "At Your Best (You Are Love)," you haven't been waiting for new music from Ocean to only listen to a song that he didn't write, right? Plus, he released a version of the song that was originally dedicated to the Isley Brothers' mother back in January 2015 on Tumblr, so you may have already listened to Ocean sing his version, "At Your Best (You Are Luhh), with his falsetto and the heart-meltingly simple lyrics, "You're a positive motivating force within my life" before. Maybe my choice for the best song off of Endless for women has something to do with the fact that the song title alludes to the female-specific word "her" since "Wither" could be interpreted as "with her." Maybe it's because talented female Jazmine Sullivan provides subtle backing vocals. Maybe it's because Ocean sings the lyrics, "Hope our children walk by spring and flowers bloom," which will woo the women out there who have a thing for hearing men talk about potential offspring. But I think the real reason I feel every woman should listen to this song at least once is because it's just hauntingly lovely. Oh where the trees burn downPlace where the fields went down in flamesYou could put a hole in the groundOh, seasons dance for rain. Now, if you are the type of woman who doesn't mind swooning every now and again, then I can't deny that you'll be left feeling dazed when Ocean sings, "Hope a garden grows where we dance this afternoon" and how he hopes that those aforementioned children will "Know that I’ve enjoyed sunshine/Pray they'll get to see me, me wither." Oh, and don't forget Sullivan's backing vocals that delicately underlay the track throughout. Ocean paints a picture in "Wither" that's worth soaking in at least once. So jump to 12:56, watch three Ocean's work on those stairs, and take in the song. It's over in less than three minutes, but its lasting effects will be endless.